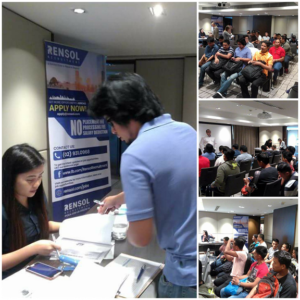 The above may not mean anything to the public, but it means everything to the 500 skilled and semi-skilled Filipino workers that attended SNC Lavalin’s 4-day client interview and selection. 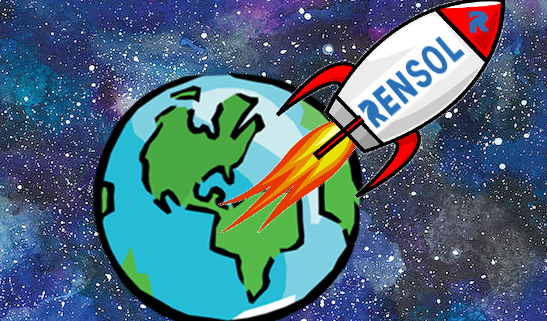 Rensol Recruitment and Consulting is successful in closing a deal with SNC Lavalin, a global project management company headquartered in Quebec, Canada. With giant infrastructure projects in the middle east, they are also a leading provider of comprehensive end-to-end corporate solutions. Some of which includes capital investment, consulting, design, engineering, construction, operations and maintenance. 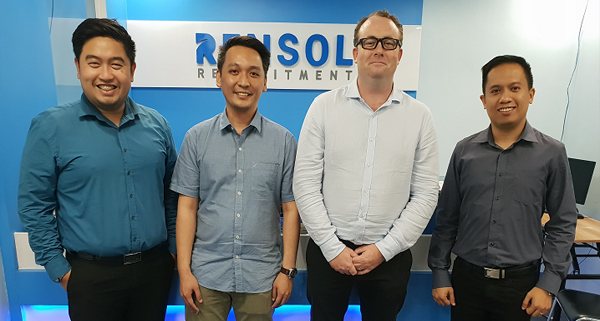 Together with their oil and gas branch, Saudi Arabian Kentz, commissioned Rensol as an official recruitment consultant for their numerous oil and gas energy projects in Saudi Arabia and Qatar. It’s never really that easy to clinch a new client. It also takes real commitment and perseverance to win a partnership. Led by their President, Mr. Arnold Mamaclay, the time and effort Rensol invested in SNC Lavalin is above and beyond challenging. The principal, being the well-established company that they are, conceivably, has several dozen options to whom they will partner with in regard to their manpower needs. What convinced SNC Lavalin to make Rensol their official consultant is more than what a regular recruitment firm can offer. It’s not just about their good reputation. Nor its about their close-knit ties with the local government. Nor is their well-experienced and strong recruitment team. It’s their heart, undying diligence to deliver and reputation as a problem solver that made the principal choose them as a recruitment partner. 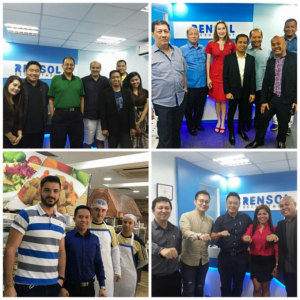 The interviews and selection for Skilled and Semi-skilled positions such as Piping Foremen, Riggers II and III (TUV Certified), Piping Welders, Piping Fabricators, Pipe Fitters, Grinders, Gas Cutters, and Erectors have been concluded within the Rensol office in Quezon City. A 2-day interview for Technical Positions such as Turnaround Planners, Turnaround Coordinators, Maintenance Planners and Schedulers happened at New World Hotel in Makati City. Interview and Selection for Engineering and Supervisory Positions such as QC Supervisors – E&I, QC Supervisors – Mechanical & Piping, QC Supervisors – Welding, QC Inspectors – Civil & Structural, QC Inspectors – Instrumentation and many more are happening soon. 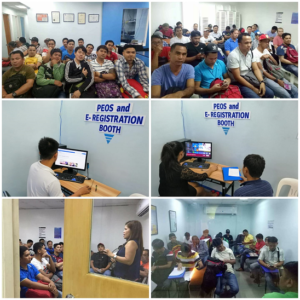 Expect bigger and better overseas professional opportunities within more upstanding industries as the fastest growing ethical and international recruitment agency reaches out and deepens its connection with more similarly ethical companies providing more quality driven professional opportunities for more aspiring Filipino workers. New Zealand engineering is desperately short of skilled professionals across all disciplines while in the middle of the largest infrastructure boom in its history brought by reconstruction efforts after the destruction of major earthquakes. Billions of dollars have been overpouring into projects due to the two major earthquakes that have destructed most of its largest cities. Engineering firms are finding ways on how to deliver each project in a faster, safer, and cheaper way. But despite all the massive undertakings, enough engineers to man each project were found lacking. New Zealand engineering firms have been doubling efforts to attract talents. Some of which have even hired non-Kiwi applicants. Even the smallest companies in the industry find it strange to not receive any application from a New Zealand qualified engineer in every job posting they had recently. The good news is, engineers in New Zealand need not be registered by law. It so happens that local talents are deeply scarce due to snaffling by larger firms and overseas employment or emigration. While local engineers are going out of their own country, talents from abroad were queuing from overseas to get into New Zealand engineering. 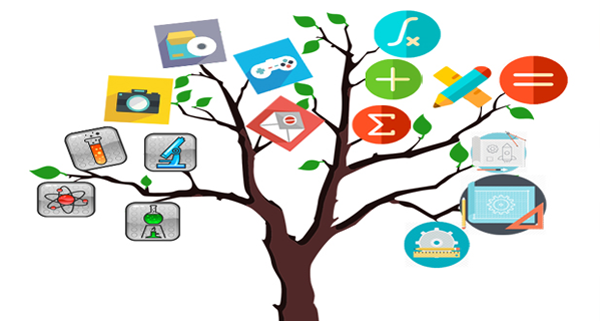 Engineering NZ’s statistics reflected that only 7 percent of Kiwi graduates had studied engineering. This shortage eventually leads to New Zealand engineering crisis. Apart from the holistic lifestyle within its scenic landscapes, working Down Under also means unique and complex roles that will grow your skills and experiences. The calmness of Kiwi culture attributes a lot to the kind of living any aspiring worker will expect in New Zealand. It is affordable to live in NZ given the great quality of life it can offer. With a maximum of 40 work hours per week, flexible work arrangements, competitive salary, New Zealand is an ideal country. With a relatively small population, the country has always been seeking workers from overseas to fill skill shortages across many industries. New Zealand engineering has been booming in recent years. This comes along with the fast growth of the Kiwi economy and the lowest unemployment rate in the developed world. Skill shortage has given way to the entry of skilled migrants. Engineers, carpenters, joiners and building surveyors are in high demand. These key positions play a pivotal role in shaping the country’s infrastructure landscape. A number of roles which include civil and structural engineers, highway and transportation planners, water resource engineers, geotechnical engineers, and landfill design engineers are being recruited in various locations across the country. Structural engineers are in demand to check the safety of existing buildings, while civil engineers will be needed to help in the massive rebuilding. Chemical engineers have remained steady and strong while petroleum engineering showed significant growth with increased activity in oil exploration. 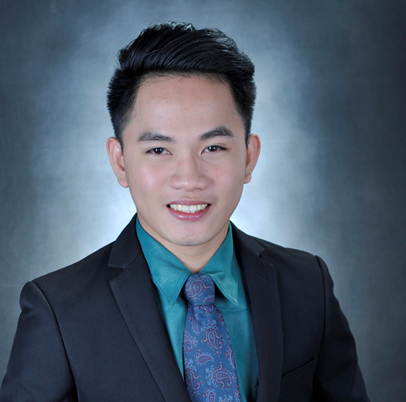 While electrical engineers are the most abundant in the country, it is still not enough to fill in all vacancies. Perth construction shows persistent strength and confidence. 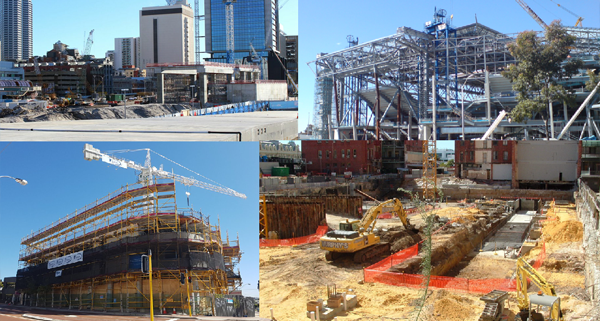 Consistent construction activity propels the city upward. Like Melbourne, cranes are set to dot Perth’s skyline again. Traditional real estate building boosts Perth as Australia’s hub of construction activity. Commercial and residential construction output is high with the erection of high-rise buildings. Moreover, town planners focus on escalating skylines as a signature of growth. The surge of major transformations pushes the city to become a central business district. Investments of international developers boost construction of hotels, apartments, and office spaces. Development of Perth’s tallest building with 75 stories begins along with 60 skyscrapers. Indeed, livability has been emerging with the Perth construction boom. Overseas developers propose large-scale projects as long-term investments. This sets an estimated 40 percent increase in commercial work or at least 30,000 new construction jobs. Moreover, the flourishing Perth construction market signifies the increasing need for human resources. However, Perth construction groups express their worry on skills shortage. Apprenticeship drops for the past three years. The State also hinted concerns on its inability to fill the demand for labor as its economy improves. Industries couldn’t find suitable skills even with a spare capacity for construction talents. The skills of job seekers don’t match what employers actually want. Thus, Perth construction companies started sponsoring visa and apprenticeship to foreign workers. Perth is a melting pot of cultures. It is home to foreign skilled workers that comprise almost half of its population. 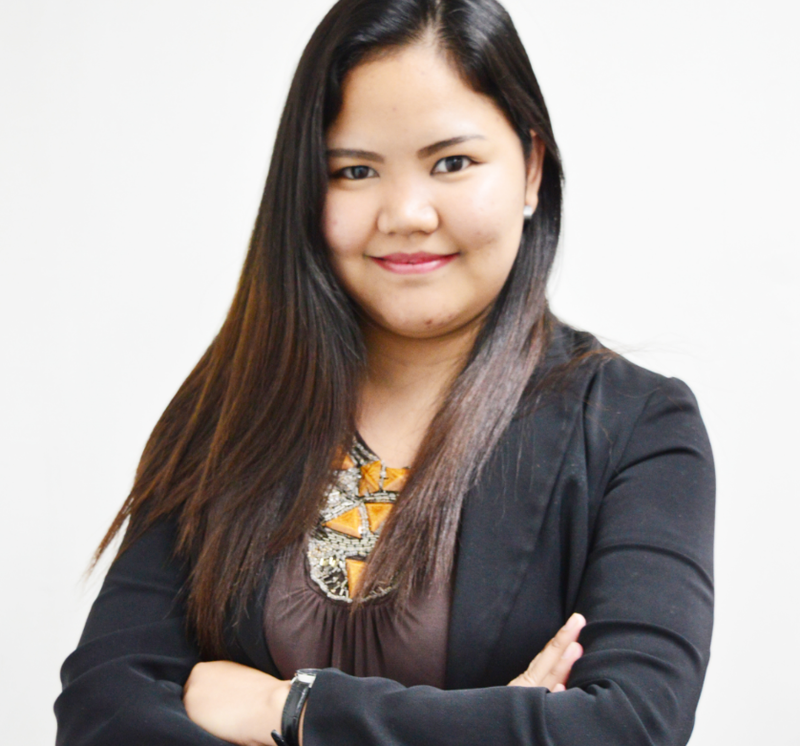 Moreso, the influx of Filipino expats plays crucial roles in Perth construction. With the sun shining all year long and with a salary that elevates way of living, Perth is seemingly a happy place to work at. 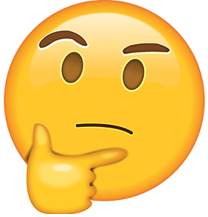 If you are a UK Oil and Gas company, what do you think would set you apart from other companies specializing in the same trade? I recently had a conversation with two British friends based in Manchester and are both inclined with the oil and gas field. 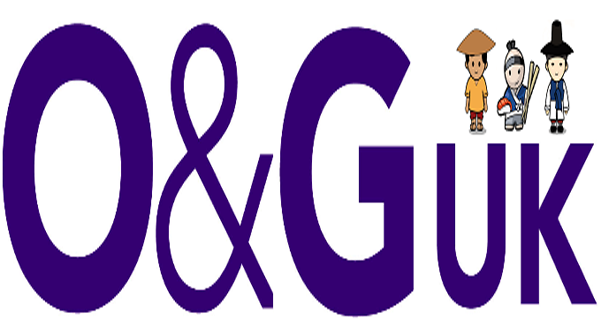 One works at Clyde Marine, a UK Oil and Gas Recruitment agency while the other works at Penspen, provider of engineering and management services for the UK Oil and Gas. Both guys are living together in Manchester, on a property that is being drilled by a different oil company. They expressed their amazement noting that the competitor’s technical and skilled workforce, the “hole pokers” as they called them, are composed of mostly non-UK born or expatriates. Their surprise went overboard when I shared that their peers in the industry have also assimilated the acquisition of overseas workers into their labor force. Also, UK Oil and Gas Recruitment agencies are now more open into partnering with Asian recruitment firms to find and source for additional manpower. According to the UK Office for National Statistics, there are about 6,000 non-UK nationals employed in the country right now. About 10% of this number are working in the oil and gas industry. Within that 10% are Asian workers from India, Nepal, Vietnam, and the Philippines. My friends recalled of a time when they barely see non-natives in their industry. British Oil and Gas professionals, like any other industry experts, are very keen and meticulous on who they permit to work in their trade. 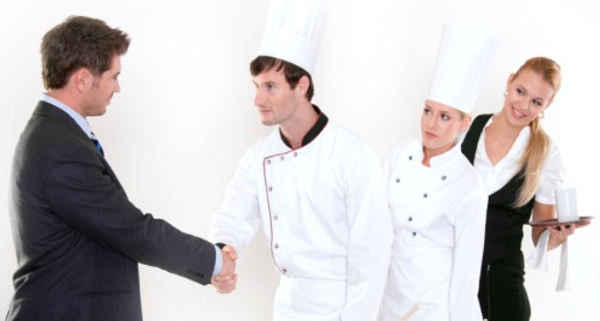 They must meet certain professional, technical, and educational benchmark before they can stand beside them. One friend told of a story where one company once contracted foreign workers for cheaper labor. They had spent a month digging down the ground and missed their mark and broke the casing causing an oil leak and it had to be sealed. Although, this type of situation is all too common for oil and gas drillers, allowing non-O&G occupational experts to work in their projects can cause more frustration and increase the cost of production. 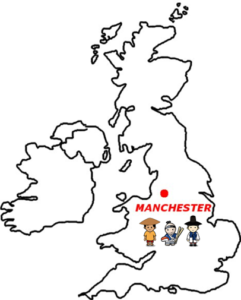 Manchester is located northwest of London and has experienced large growth in their population. Pre-boom of the UK Oil and Gas industry, Manchester had roughly 165,000 people and since the latest UK Oil and Gas boom it has grown to roughly 600,000 people. Manchester is not unique in this experience, cities across the country are experiencing similar growth due to oil and gas, and along with that growth, comes the insurgence of new Oil and Gas Companies. My friends from Manchester say that there’s also a growing fear for a saturated market and the lack of manpower that established companies are dealing with. Technology. We obviously know that the United Kingdom companies with the most technologically advanced rigs will be the ones that capture the most market share. According to UBS United Kingdom, companies with modern fleet are earning higher day rates, margins, and are in greater demand because of better technology. But, technology in the O&G industry spreads across many functions including research and development, day to day operations and technical, skilled, and field work. There’s a lot of funding going into innovative companies that can help O&G companies work smarter. Manpower. Another facet of success in the UK Oil and Gas is the availability and effectivity of its available labor force. Although the United Kingdom is home to some 9 Million people, not many of them are coming in the oil and gas trade. Since the demand is increasing, and more UK oil and gas companies are appearing, more and more workers of the technical and skilled level will be needed. Private institutions have already started looking for professionals abroad. Everyone in the industry is increasingly aware of the increasing labor gap so they have started looking outside. If you are a UK Oil and Gas company, what do you think would set you apart from other companies specializing in the same trade? The answer is simple. The things that would set you apart from your competitors are your aptitude for the latest technology and the abundance of well-equipped and able manpower. 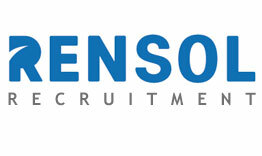 Fortunately, for the UK Oil and Gas trade, multinational ethical recruitment agencies like Rensol is always on the go and ready to help. We have offices in Singapore, India, the Philippines, UAE, and USA. We have the most up-to-date information on how to conduct an ethical and effective recruitment campaign for your oil and gas manpower needs. Please connect with our Business Development Team at [email protected] and we will be ready to sit down with you and understand your concerns and configure a recruitment plan to ensure better success. Japanese construction, which has deeply suffered from the country’s prolonged labor shortage, still expects a far worse situation for the next decade with at least a million people who are set to retire from the industry. By 2025, a potential shortage of 8 million workers is expected. One of the solutions that the country has tried is to integrate robots that can haul supplies, weld beams, and install ceiling panels. Japanese construction is continuously being dominated by robots due to lack of human resources to man its many construction sites. Apparently, one robot per five construction workers is already distributed in many areas to aid the lack of manpower. While robots are saving thousands of hours of labor for tasks a human usually performs, their participation in the workforce is kept to the minimal to the most laborious tasks in construction. Automation and the robot revolution are just beginning in the Japanese construction industry and more innovation are expected to come in succeeding years. Unlike other countries where workers are afraid of losing their jobs to machinery, Japanese construction companies are more afraid of not being able to engineer robots before their construction workers reach their retirement age. New robots are being developed to support high-rise construction. In Japanese construction, however, many have been developed, but only a few were deployed. Robot labor, as projected, will only make up about 1 per cent of each construction projects due to the complexity of the overall construction works. Japan’s ageing population will soon leave many industries and the technology needed to fill in each vacancy might not be ready enough. Apart from employing robots, Japanese construction companies tried to increase pay, improve working conditions, encourage female participation, and global construction recruitment of foreign workers to boost construction activities. The birth rate has been declining in Japan for years already which has to lead to the shrinking of the Japanese construction workforce. Most construction workers are getting older and many contractors are having a hard time attracting young people. Even with the booming of Japanese construction, contractors are struggling to fill labor shortages. Prime Minister Shinzo Abe once introduced a new visa for non-professional foreign laborer as he expressed the need of the country to rush recruitment of foreign talents to abridge labor shortage. Japan and the Philippines have previously signed an agreement to conduct training of construction workers to boost the supply of qualified manpower. 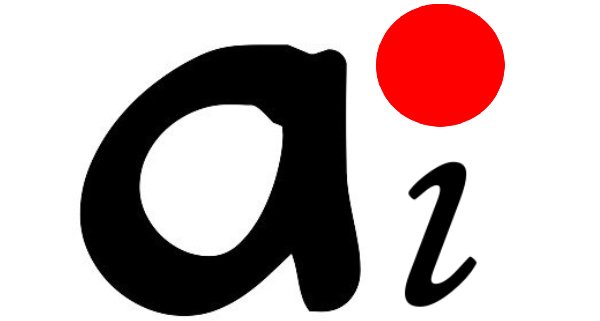 Applicants to Japan must first undergo training and study their language and culture. The Philippines is in a good position to help Japan mitigate its recruitment challenges given the fact that the country is known for only accepting high-skilled talent from overseas. The country has long lagged from other developed countries in terms of integrating foreign workers into local industries. But with the ageing, shrinking workforce, Tokyo breaks this taboo to welcome half a million low-skilled foreign workers in the coming years. UK engineering recruitment is currently suffering from a chronic skill shortage that hampers not just the country’s productivity, but also its economic recovery. The alarming picture was raised by Kevin Green, chief executive of the Recruitment and Employment Confederation (REC). The United Kingdom is known for having a splendid heritage of engineering excellence dating back to the age of the Industrial Revolution. The country is the beacon of innovation, specialized production, at the forefront of manufacturing excellence. Engineering UK’s The State of Engineering 2016 report claims that the need is far from greater: the UK engineering recruitment shortage was projected to be a looming 1.8 million talents by 2025. They will need to find 182,000 skilled professionals every year up to 2022. The great investment in infrastructure created a myriad of opportunities for skilled engineers. But with the high demand is a short supply to improve an ageing workforce. 2018 has been “a year of engineering” for the UK government to campaign for engineering skills gap and to further widen the pool of young people to join the profession. The overabundance of UK engineering jobs delayed a lot of high-profile projects, making a great impact on the profitability of companies. In the field of civil engineering, it initially wreaks havoc on the construction of public spaces and services. The only way the skills crisis can be corrected is when a new batch of highly-qualified engineers join the workforce. Industry leaders need to recognize first the engineering crisis and to apply a concerted effort to bridge the gap. Apart from a longer recruitment process, many companies are already forced to utilize a more expensive temporary staffing, to hire workers from lower levels, and to inflate the salaries just to attract the right talents. Worse comes to worse, many companies will soon hire candidates without any STEM background or just leave hard-to-fill vacancies empty. Attracting migrant workers from skill-rich countries and improving diversity in the workplace, plus an outstanding employment practice could promote talent attraction throughout the sector. Nurturing and developing UK engineering recruitment by building a strong talent pool from overseas could eventually secure the industry. Global engineering recruitment is on the rise to fill the looming skills shortage.